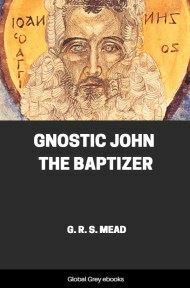 This is one of the most controversial books about the Christian narrative of Jesus ever published. Is the need for a deathless hero who saves humanity part of the deep structure of our brain? Is religion simply filling a psychological need which is part of being human? 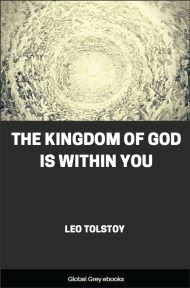 This book may be picked apart in its details; however, it was one of the first to explore this 'big' question, an answer to which is as pressing today as it was then. 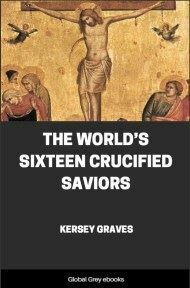 The World's Sixteen Crucified Saviors raised a host of questions, few of which have yet been adequately answered, over a century later. Having said that, there are serious flaws in this book. Graves was apparently not working from original sources, with the exception of the Bible; he also muddles Vaishnava Hinduism and Buddhism, two belief systems with fundamental differences. That said, the traditional narratives of Krishna and Buddha do contain motifs in common with the NT stories of Jesus. IT is claimed by the disciples of Jesus Christ, that he was of supernatural and divine origin; that he had a human being for a mother, and a God for his father; that, although he was woman-conceived, he was Deity-begotten, and molded in the human form, but comprehending in essence a full measure of the infinite Godhead; thus making him half human and half divine in his sublunary origin. It is claimed that he was full and perfect God, and perfect man; and while he was God, he was also the son of God, and as such was sent down by his father to save a fallen and guilty world; and that thus his mission pertained to the whole human race; and his inspired seers are made to declare that ultimately every nation, tongue, kindred, and people under heaven will acknowledge allegiance to his government, and concede his right to reign and rule the world; that "every knee must bow, and every tongue confess that Jesus is Lord, to the glory of God the Father." But we do not find that this prophecy has ever been or is likely to be fulfilled. We do not observe that this claim to the infinite deityship of Jesus Christ has been or is likely to be universally conceded. 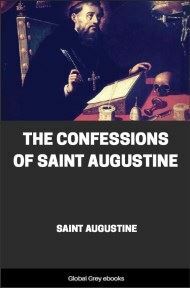 On the contrary, it is found that by a portion, and a large portion of the people of even those nations now called Christian, this claim has been steadily and unswervingly controverted, through the whole line of history, stretching through the nearly two thousand years which have elapsed since his advent to earth. Even some of those who are represented to have been personally acquainted with him—aye! some of his own brethren in the flesh, children in the same household, children of the same mother—had the temerity to question the tenableness of his claim to a divine emanation. And when we extend our researches to other countries, we find this claim, so far from being conceded, is denied and contested by whole nations upon other grounds. It is met and confronted by rival claims. Upon this ground hundreds of millions of the established believers in divine revelation—hundreds of millions of believers in the divine character and origin of religion—eject the pretentions set up for Jesus Christ. They admit both a God and a Savior, but do not accept Jesus of Nazareth as being either. They admit a Messiah, but not the Messiah; these nations contend that the title is misplaced which makes "the man Christ Jesus" the Savior of the world. They claim to have been honored with the birth of the true Savior among them, and defend this claim upon the ground of priority of date. They aver that the advent of their Messiahs were long prior to that of the Christians', and that this circumstance adjudicates for them a superiority of claim as to having had the true Messiah born upon their soil. 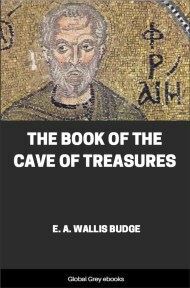 It is argued that, as the story of the incarnation of the Christians' Savior is of more recent date than that of these oriental and ancient religions (as is conceded by Christians themselves), the origin of the former is thus indicated and foreshadowed as being an outgrowth from, if not a plagiarism upon the latter—a borrowed copy, of which the pagan stories furnish the original. Here, then, we observe a rivalship of claims, as to which of the remarkable personages who have figured in the world as Saviors, Messiahs, and Sons of God, in different ages and different countries, can be considered the true Savior and "sent of God" or whether all should be, or the claims of all rejected. 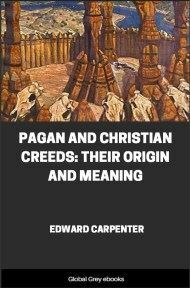 For researches into oriental history reveal the remarkable fact that stories of incarnate Gods answering to and resembling the miraculous character of Jesus Christ have been prevalent in most if not all the principal religious heathen nations of antiquity; and the accounts and narrations of some of these deific incarnations bear such a striking resemblance to that of the Christian Savior—not only in their general features, but in some cases in the most minute details, from the legend of the immaculate conception to that of the crucifixion, and subsequent ascension into heaven—that one might almost be mistaken for the other. More than twenty claims of this kind—claims of beings invested with divine honor (deified)—have come forward and presented themselves at the bar of the world with their credentials, to contest the verdict of Christendom, in having proclaimed Jesus Christ, "the only son, and sent of God:" twenty Messiahs, Saviors, and Sons of God, according to history or tradition, have, in past times, descended from heaven, and taken upon themselves the form of men, clothing themselves with human flesh, and furnishing incontestable evidence of a divine origin, by various miracles, marvelous works, and superlative virtues; and finally these twenty Jesus Christs (accepting their character for the name) laid the foundation for the salvation of the world, and ascended back to heaven. 2. Budha Sakia of India. 4. Zulis, or Zhule, also Osiris and Orus, of Egypt. 5. Odin of the Scandinavians. 7. Zoroaster and Mithra of Persia. 8. Baal and Taut, "the only Begotten of God," of Phenicia.